What Size Pool Heat Pump Do I Need Brisbane? When purchasing pool heat pumps, it is necessary to consider several factors so that you won’t end up in regrets. To determine the proper size of a heat pump pool heater you should buy, you would need a trained professional or expert to analyze the size of your swimming pool. 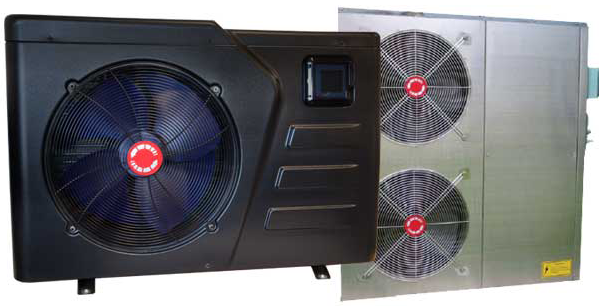 However, there are also several factors in selecting what size of pool heat pumps to purchase. First, you must consider the surface of the swimming pool and the difference between the pool and the average air temperatures. This means that you’ll require a larger heater if your pool is located in an area with colder temperature at the pool surface. Thus being said, pool heat pumps in Brisban e will be much ideal also as pool heat pumps in Brisbane or in Sunshine Coast as more or less they have the same average air temperature at the pool surface. Prices can affect too in purchasing your ideal pool heat pumps. However, cheap heat pumps should never be regarded as of secondary quality, as there are cheap heat pumps in Brisbane as much as there are also cheap heat pumps in Gold Coast which are of superior quality. However, it affects in your decision-making because you must also consider the affordability of the product you are buying. When buying cheap heat pumps, product reviews should not be looked upon as something unnecessary. It is important to read and be informed of the reviews from the consumers of the product you are going to buy. This will help you in your decision making. For example, heat pumps for pools reviews in Brisbane should be made by consumers from Brisbane as well because they have the authority and the personal experience of the product in a certain area. The quality of the pool heat pumps is also one of the vital factors in buying one. You can summarily verify the quality of the product if it’s tested and warranted in a certain country whose quality assurance is bound with that country’s strict implementations. You can also immediately conclude a product’s quality by its company’s track record and its length of service in pool heat pumps industry. In deciding what pool heat pumps to buy, one factor to also consider is the services the company provides. It helps to know whether the company provides technical advice and installation services. When all of these factors are checked, then there’s no reason anymore for you to worry.